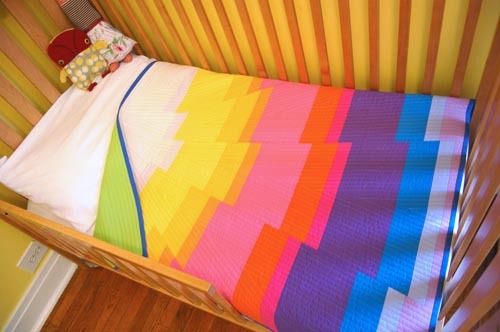 You still have a few hours to enter your photo in our Sunrise Baby Quilt contest, but you’ll have to stitch quickly! Send a picture of your completed quilt to us at blog@berninausa.com before 11:59:59 Central. We’ll post them Wednesday, April 3, and announce a winner next week. A big ‘”Thank You!” to all our entrants – check out their quilts in our Sunrise Baby Quilt Sew-Along Gallery.